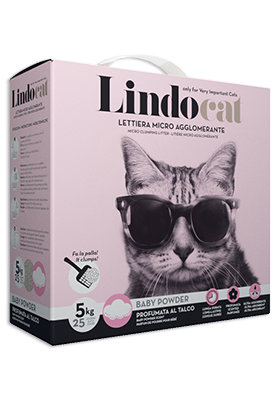 Lindocat Baby Powder is a cat litter made of 100% fine grained bentonite; the reduced size of the granules makes for fast clumping and the formation of small, solid lumps, which in turn means less wasted product. 100% natural product not chemically treated. Bentonite (after Fort Benton, Montana, USA) is a clay rock derived from hydrothermal alteration of volcanic products. It’s known and used since ancient times, and nowadays we all have to deal daily with this versatile material: from cosmetics to wines and fruit juices, as well as in pharmaceutical products. 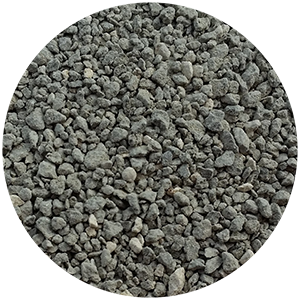 Within the cat litter world, the bentonite is used for its capability to swell up to 10 times its own volume and to absorb liquids and odors which are restrained in clumps easy to remove leaving the remaining product intact for further use. Long-lasting: a top performance litter with minimum consumption. 5 Kg last 25 days.